CHANDIGARH: The Punjab Police Intelligence Wing busted a gang of anti-national elements who were planning to carry out major criminal activities in the state. A spokesperson from Punjab Police said, “Acting on a specific input, a police party from the Special Operations Cell, Amritsar, has arrested three people from Amritsar.” Authorities have recovered two pistols of .32 bore along with three magazines and 14 live cartridges from their possession. 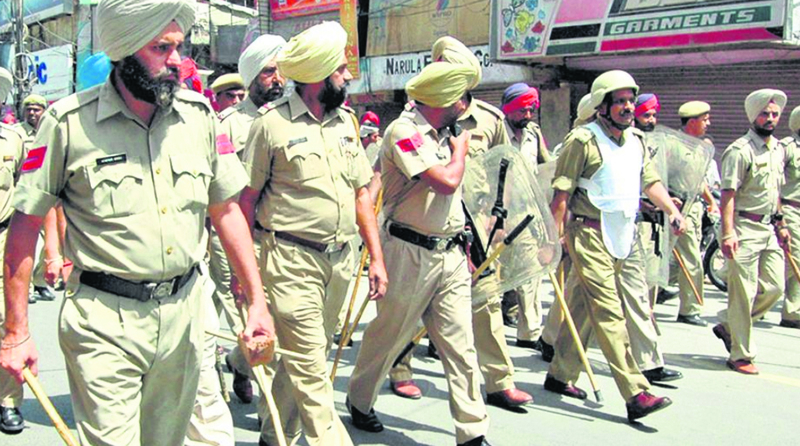 Arrested include Baljit Singh from Ajnala, Jagdev Singh from Baba Bakala and Manjit Singh from Amritsar. The spokesperson said, “The three have been associated with different radical organisations and were actively involved with radical activities across Punjab. The trio got in touch with each other through social media and were planning to target persons responsible for sacrilege incidents in Punjab and the Hindu Shiv Sena leaders.” They said the accused had procured weapons from Indore. “The exact origin of the recovered weapons is being ascertained and the supplier is being identified,” the spokesperson added. Baljit Singh worked as a “granthi” at a gurdwara in Nagpur for about four years and recently shifted to Ajnala near Amritsar. When his residence was searched, literature relating to different radical organisations have been seized. “It is also being ascertained if the accused were being funded and tasked by the radical organisations. Besides, the Indian and foreign contacts of the arrested persons are also being examined. Meanwhile, a suspected ISI agent from Jalandhar was arrested last week. He was accused of leaking sensitive Indian military intelligence information to Pakistan handler. The accused has been identified as Ram Kumar, is a Fazalika resident. Two mobile phones and four SIM cards were recovered from his possession. Kumar is currently admitted being in touch with ISI agents in Pakistan in lieu of money and was tasked of providing information of Indian Army located along Indo-Pak border. The accused was also keeping a track on movement of Army jawans along the area.